Salman Rushdie is a British author credited for publishing many successful novels and essays. He has also been living with a target on his back for the last 20 years. 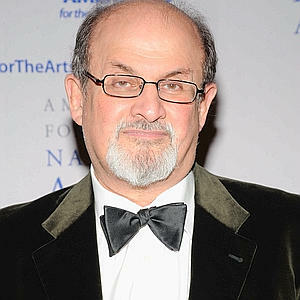 An organization in Iran has raised the bounty for anyone who can locate and kill Rushdie. The problem started after Rushdie published the novel “Satanic Verses,” a book which is highly critical of Islam and its prophet Mohammed. Since then, he has been in hiding after Iran has issued a fatwa against him for blasphemy. A fatwa is a set of rules governing Islamic law. It is normally imposed by a cleric; under the fatwa in severe cases, a cleric can impose a death sentence on someone who commits the crime of blasphemy. A cleric heading a conservative Islamic foundation has increased the bounty by another $500,000, bringing the total to $3.3 million. The organization released a statement saying that unless Rushdie is killed, there will be further releases of films and books insulting their holy prophet in ways that must be punished with death. In 1998, Iran’s foreign ministry assured British authorities that it will not impose a fatwa on Rushdie. However, in 2005, Ayatollah Ali Khamenei issued a statement calling for the murder of Rushdie under Islamic law.